Internet routers play a crucial role in the modern home, but how many of us actually take the time to look into the benefits of a more capable device? Routers provided by most ISPs tend to be basic - what else would you expect for free? - and improved reliability, better performance and more features are just some of the reasons to consider an alternative. There's certainly no shortage of choice. Browsing the virtual shelves of Amazon reveals literally hundreds of routers to choose from, with prices starting from as little as £10 and rising to well over £200 for the most advanced solutions. So how do you separate the wheat from the chaff? We'll be bringing you more router reviews in the coming weeks, but in the meantime let us ask: which Internet router do you use at home? Let us know make, model, and how it's working out for you in the comments facility below. 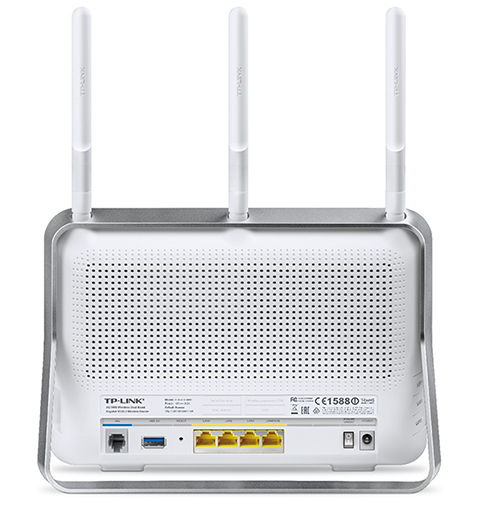 Love it and only upgraded from my old TP-LINK TL-WR1043ND for wireless-AC. The Virgin provided SuperHub 2. Our wireless use is limited to the chromecast, my works laptop and my girlfriends chromebook, none of which are bandwidth intensive. And if Google ever bring the chromecast ethernet adapter to the UK (or if I decide to get jenky with a third arty set up) it will join my nearly exclusively ethernet plumbed household. The only other regular work the wifi does in my house is copying tv episodes from my server to my phone using ES File Explorer. Even then, I start the download and then put my phone on charge and go to bed! So, wifi speed is a very small part of my life! A more important aspect of the SuperHub to me is the count of ethernet ports as I've now added an additional switch. I'm currently using a Buffalo G300NH that's running Gargoyle firmware, I turned off the wireless because it keeps dropping out, but other than that the router has shown 100% reliability with a running up time of 607 days. Though, I have in the works an HP Microserver Gen8 running pfSense, once I'm happy with the setup I'll retire the G300NH. Plain old Virgin Media SuperHub 2 for WiFi. And a TP-Link Wireless Extender because the former has crappy range. I'm also using the Virgin SuperHub2 like Jowsey. It is the best router ever provided to me by an ISP (not a difficult task) but I wouldn't consider going and buying another one, Ethernet is the way to go with as much as possible. When I do eventually have a house to call my own, I may once again consider buying a router, but this would only be if I couldn't get a good mirroring access point to allow one SSID and Password accross multiple access points… with the way WiFi range and capability is improving, I don't think I am going to need to do that. I suspect the VM SuperHub 5 will have all the capability I will need by then.